Every four years, the world comes together to see not just the best in athletics, but also the best in sportsmanship. 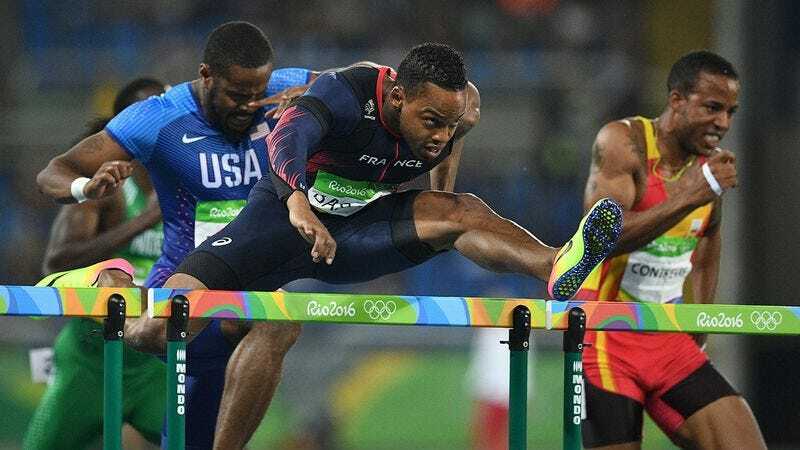 And Rio’s games have been no exception: French Olympian hurdler Dimitri Bascou exemplified the spirit of the games by letting the other runners know when a hurdle was coming up to keep everyone from tripping. Wow! How inspirational is that? Dimitri set nationalism aside on the track to make sure his competitors safely made it to the finish line. From the starting gun at his first heat, he was already looking out for his fellow athletes, shouting out warnings like “Hurdle coming up!” and “Five meters and closing!” He even made sure to give the other athletes a loud “All clear!” when they’d hopped the final hurdle. While another athlete might have worried about losing focus or ceding his opponents a competitive edge, the only thing on Dimitri’s mind seemed to be the ideals of the Olympics themselves. Thanks to Dimitri’s commitment to sportsmanship, every runner in his races finished fully aware of where all the hurdles had been. And making this amazing story even sweeter, the unselfish runner even won a bronze medal in the 110-meter event. While he probably could have gotten gold or silver had he not shouted “Remember, the hurdle is 42 inches high!” before each obstacle, that just makes his selfless actions all the more impressive. With his elite performance, Dimitri has done far more than just bring glory to France: He has distinguished himself as a true Olympian. Way to set a great example for all of us, Dimitri!